Best of the Northwest on brand. 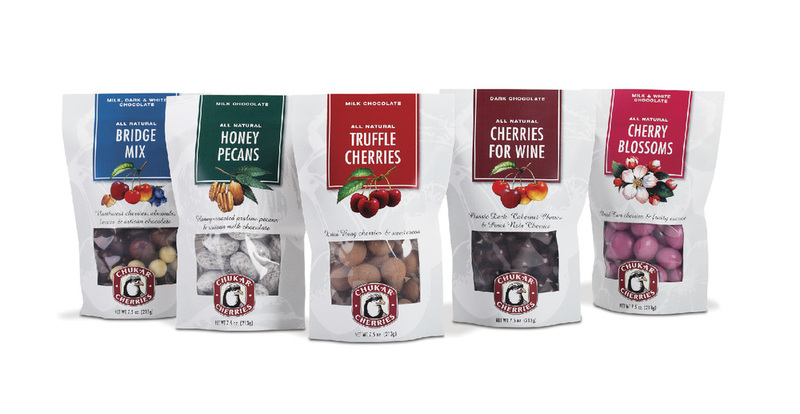 At 5ive Creative we enjoy teamwork, and in this case we had the opportunity to collaborate with the passionate people of Chukar Cherries to create packaging as distinctive and delicious as the gourmet fruit, nuts and chocolate inside. 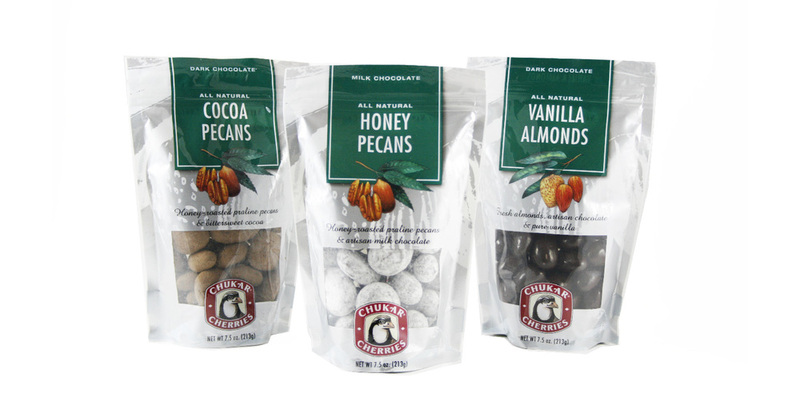 Chukar Cherries is a 26 year old family owned company with a devoted customer base and retail locations in the Pike Place Market, Leavenworth, and Prosser Washington. From the store environment to gift packaging, along with a variety of sweets and savories, we designed a completely fresh look celebrating the best of the Pacific Northwest.